Dr. Charlene Lew is a Senior Lecturer at GIBS and Head of the GIBS Faculty Network. She teaches on the MBA and custom programmes in the areas of Strategic Leadership Decision-Making, Organisational Behaviour, Organisational Design and related subjects for instance Leading Change, Performance Management and Creative and Strategic Thinking. Charlene supervises doctoral and MBA research, focusing the research of her students on behavioural decision-making and the intersection where strategic leadership decision-making and organisational outcomes meet. She is passionate about the intra- and inter-psychological processes which drive behavior at work, and holds a Doctorate in Psychology with a focus on adult career development. Charlene has been employed at GIBS for more than 12 years, previously as Senior Programme Manager. Her clients included diverse entities such as BATSA, Bowman Gilfillan, Deloitte, Ernst & Young, Group 5, the Imperial Group, KPMG, Medscheme, Mondi, Mpact, Omnia, Nedbank, NMI, Royal Bafokeng Platinum, SAAB EDS, Siemens, Standard Bank and Unicef to mention a few. Prior to joining GIBS, Charlene was the Dean of the Damelin International College of Postgraduate Business Sciences. De Bruin, G. P., & Lew, C. C. (2006). Canonical correlation analysis of the career attitudes and strategies inventory and the adult career concerns inventory. South African Journal of Industrial Psychology, 32(3), 43-48. Nortje, J., Potgieter, C., & Lew, C. (2004). A creative solution to the hospitality training dilemma through the use of strategic alliances. Damelin Journal of Business Science, 1(1), 35-46. Jones, S. L., & Lew, C. (2004). Entrepreneurial latency and liquidity constraints in a developing economy: Evidence from the South African national lottery. Damelin Journal of Business Science, 1(1), 28-34. Grotius, G., & Lew, C. (2004). Gaining competitive advantage as a small or medium enterprise. Damelin Journal of Business Science, 1 (1), 8-12. Lew, C., & Barnard, M. (2004). Overcoming the problem of value based management. Management Today, 20(10), 20-21. Lew, C. (2004). Transparency and organisation climate. Management Today, 20(9), 20. Lew, C., Steyn, C. (2004). Leadership and creativity. Management Today, 20(8), 16-17. Lew, C. (2004). MBA: The value to the employer. Management Today, 20(7), 16-17. Lew, C., & Swart, A. (2004, May). Why a brand should deliver on a promise. Management Today, 39-40. Lew, C. (2004, February). Building relationship in the African market place. Management Today, 34-35. Lew, C., Barnard, M. (2003, October). Crossing the African divide: Huge challenges ahead. Management Today, 18-19. Lew, C., & Barnard, M. (2003, September). Strategic business leadership in Africa: Blueprint for opportunities. Management Today, 10-11. Lew, C. (2003, February). Science and the MBA: Finding the missing link. Management Today. De Bruin, G. P., & Lew, C. C. (2002). Construct validity of the career resilience questionnaire. SA Journal of Industrial Psychology, 28(1), 67-69. Lew, C. (2013). Adcock Ingram: Decisions and motives that steer acquisitions. In W. G. Rowe L. Guerrero (Eds. ), Cases in leadership (3rd ed., pp. 6-20). Los Angeles: SAGE Publications. 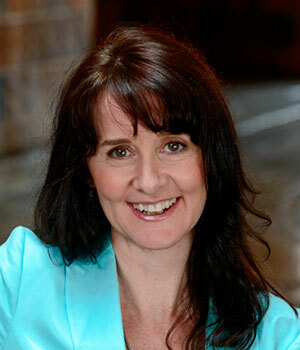 Charlene has also authored and published a book on developing emotional intelligence in babies and young children. Lew, C. (2017). Awethu project: Values-driven decisions for profit and social impact (Case Study No. 9B17C018). Ontario: Ivey Publishing. Lew, C. (2014). CFR Pharmaceuticals: Potential synergies in Africa. (Case Study No. 9B14C049). Ontario: Ivey Publishing. Lew, C. (2010). Adcock Ingram: Decisions and motives that steer acquisitions. (Case Study No. 9B10C008). Ontario: Ivey Publishing. Lew, C., & Small, C. (2017). Virtue ethics and mindfulness for responsible leadership: towards a holistic approach. Paper presented at the Albert Luthuli Conference on Responsible Leadership, GIBS, Johannesburg. Lew, C. C., De Bruin, G. P. & Nel, Z. J. (2003, June). Adult career concerns and vocational adjustment: Canonical analysis of the adult career concerns inventory and the career att​itudes and strategy inventory.​ Paper presented at the 6th Annual Conference, Society of Industrial and Organisational Psychology of South Africa, Sandton, South Africa. Potgieter, B.C., Botha, J. H. & Lew, C. (2004) Evidence that use of the ITIL framework is effective. Proceedings of the 17th Annual Conference of the National Advisory Committee on Computing Qualifications, New Zealand, 160-167.